Cork Institute of Technology (CIT) is a constantly changing and evolving campus with an ever-present focus on student facilities. 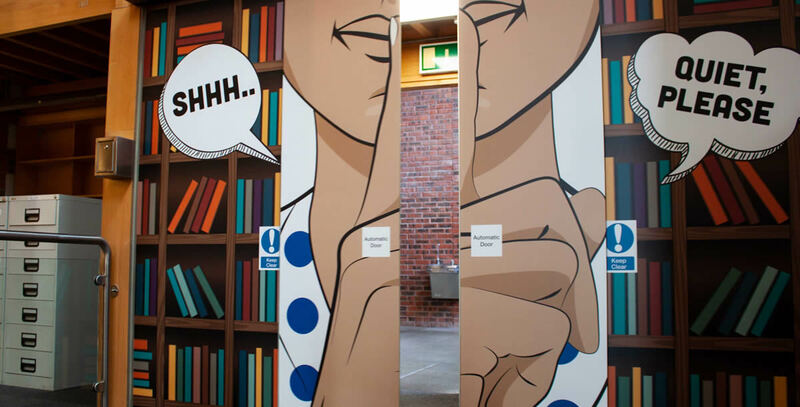 With the recent development of the on-campus library, we were tasked with revitalising their library entrance. The concept behind the graphics was quite simple, so execution was key. It was decided an illustrative style would best suit the atmosphere of the library, while maintaining the modern feel of the surrounding campus. Designing, printing and fitting the graphics were all undertaken by the team here at Babelfís.